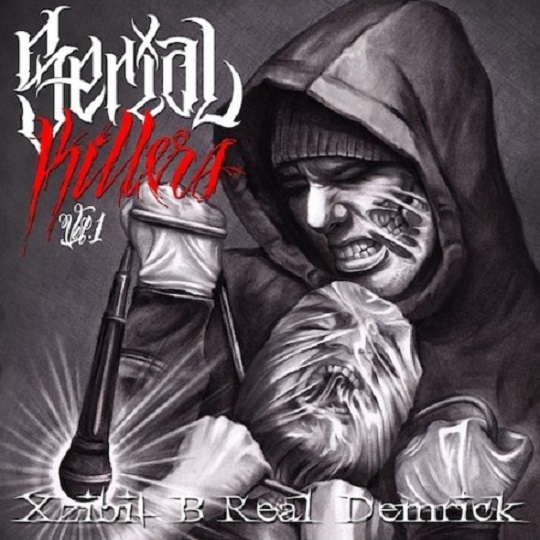 Xzibit, Demrick and B-Real celebrate Halloween by liberating their new anticipated Serial Killers Vol. 1 mixtape. The group serves up 14 new songs and makes sure to include some special guest appearances from the likes of Kurupt, Hopsin, Jon Connor and more. Production credits fans can look forward to hearing from include Ill Bill, Futuristiks, Green Lantern, Statik Selektah, Bink and more. CLICK HERE to download Serial Killers new Serial Killers Vol. 1 mixtape and take a look at the tracklist provided for all the details on the project. This entry was posted in Music and tagged B-Real, demrick, hip hop, mixtape, rap, serial killers, serial killers vol. 1, xzibit. Bookmark the permalink.